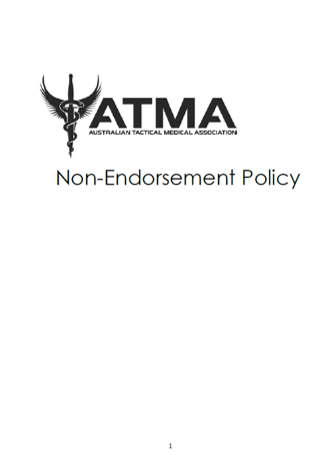 As a not-for-profit association advocating for the progression of tactical medicine within Australia, the ATMA has non-endorsement policy in place. Whist the association will look to create a formalised endorsement and credential process in future, there is currently no formal process in place. Click the image to download the latest version of our Non-Endorsement Policy.